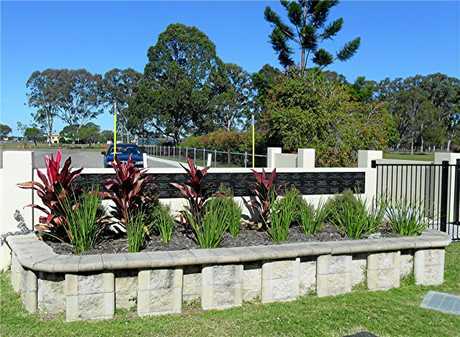 MORE than seven years ago Allan Woodward started the mammoth task of detailing every war memorial in the Fraser Coast. Now all his efforts have paid off. With the Federal Government now seeking contributions for a national register of war memorials all over the country, Mr Woodward has provided a broad canvas of the region's fascinating tapestry of military history ready for submission. The interactive online register Places of Pride will be the basis of a new display in the proposed expanded galleries of the Australian War Memorial in Canberra. He told the Chronicle there was about seven gigabytes worth of files to submit for the register. "The military history in the region, especially around Maryborough, is extremely rich," Mr Woodward said. "There are large amounts of people who volunteered from Maryborough and even from the former coal mines in Howard. "But right through the area there are strong communities like Bauple and Tiaro that had high numbers of people who served in the wars." Mr Woodward said the gathering of information for all the memorials was an arduous process, requiring hours of driving between memorials, photographing and research. "It was a case of just calling into places, wherever there was a major community or memorial hall," Mr Woodward said. "We had a $3000 funding grant through the Veterans Affairs Department and plenty of support from the Maryborough RSL and Rotary Club of Maryborough Sunrise. "It was still a slow process to gather all the information." Military history is a major tourist attraction in the Fraser Coast. Maryborough's Gallipoli to Armistice Memorial has become one of the crowning jewels in the Fraser Coast Military Trail since it was opened in July. Towering weathered steel columns, representing the foreboding cliffs that greeted troops at Gallipoli, were installed alongside the bronze sculpture of Duncan Chapman, a Maryborough son and the first soldier ashore at Gallipoli. 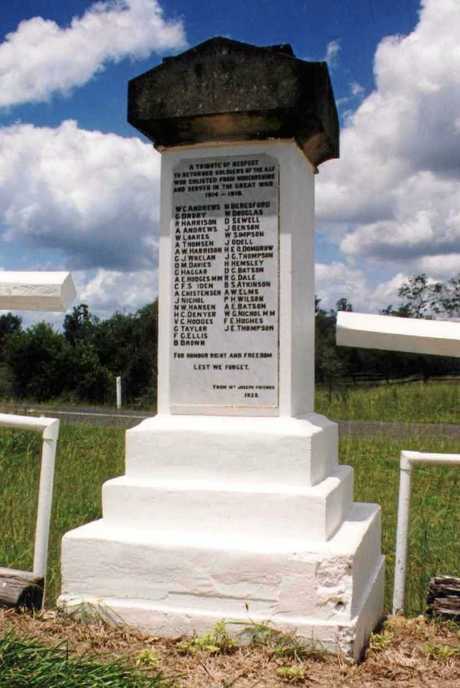 But Mr Woodward's said one of the most unusual memorials he had documented was the Bridge Creek Memorial, tucked away in the western boundary of the Fraser Coast. Four pillars along the bridge tell its story as a war memorial, paying respects to the returned soldiers enlisted from the Woocoo Shire during World War I. One of the pillars lists the names of nine Brooweena men who lost their lives. The bridge was constructed in the 1920s by then-Woocoo Shire Council chairman Lawrence Smith's station hands, some of whom were returned soldiers themselves. "To me, it was unusual to see a road bridge being turned into a memorial," Mr Woodward said. "At the time, they didn't have a bridge across the creek and this was built and paid for by local farmers back in the day." Mr Woodward said documenting the military history of the region was a good thing that "advertised" what the region had on offer. "It adds to the benefits of tourism, the people who are interested will see something that could catch their eye," he said. "And with the centenary of Anzac coming up, more people are realising they have ancestors involved in that war." Hinkler MP Keith Pitt said the Places of Pride register would remind Australians that, irrespective of distance, the stories told at the Australian War Memorial are those of our communities across the length and breadth of the country. 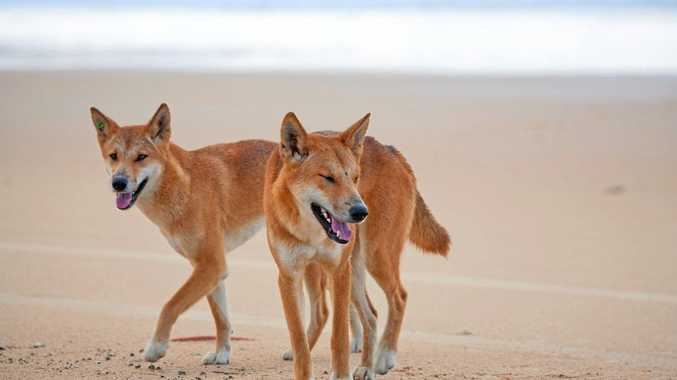 "Visitors will be able to log in the name of their town on the website, whether Bundaberg, Hervey Bay, Childers, Booyal or Toogoom and see their memorial come to life," Mr Pitt said. Veterans' Affairs Minister Darren Chester said the project was incredibly important to instil an ongoing sense of remembrance and respect in future generations of Australians. "The way in which Australia commemorates our servicemen and women is just one of the many ways in which we publicly say to our ex-service community, thank you for your service," Mr Chester said. Place of Pride can be found at placesofpride.awm.gov.au.